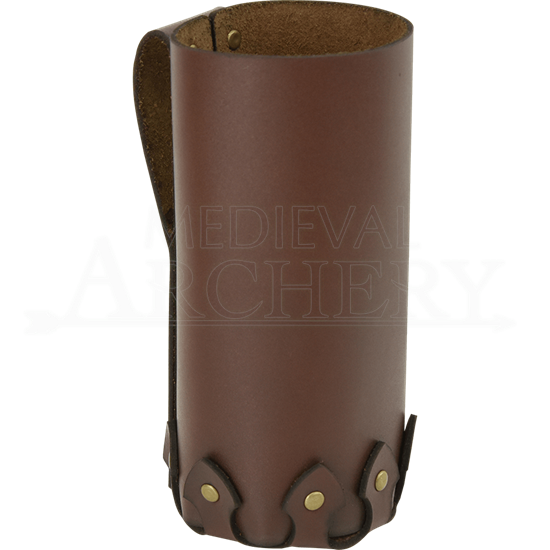 Keep your drink secure in medieval fashion with our Simple Leather Bottle Holder. Handmade in the U.S. from soft, yet sturdy 5/6 ounce chrome tanned leather, this medieval bottle holder is fully enclosed, save for the top. The leather loop on the back makes it easy to wear on belts up to 2.5 inches wide. 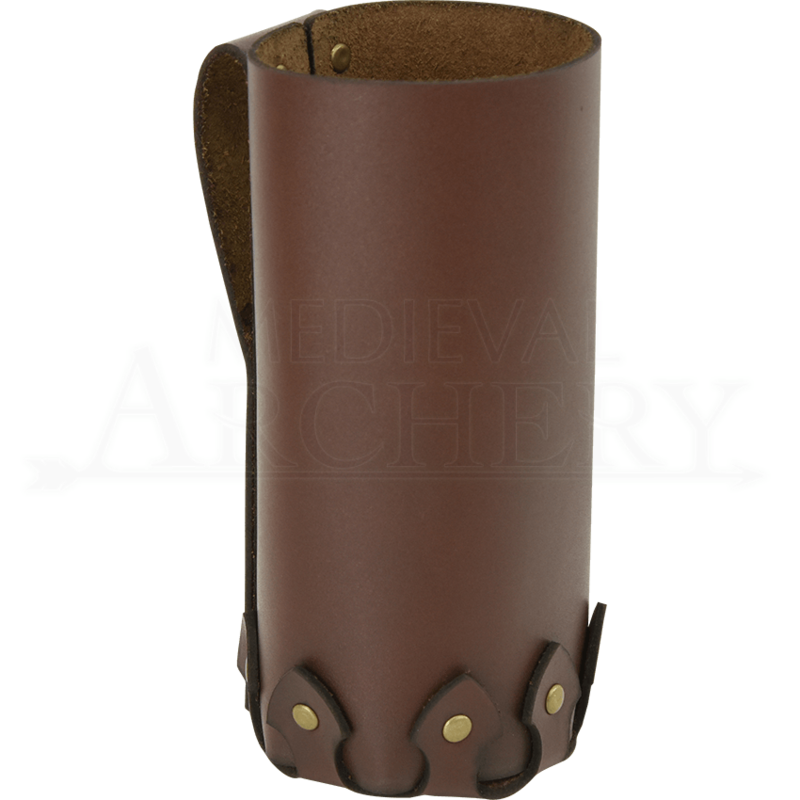 Able to hold most drink cans and bottles, this medieval accessory comes in a variety of leather and hardware color options that will match most any look. Please not that the glass bottle shown is not included, but can be purchased separately.